Wich Level is for YOU ? In the Aerial Yoga Level 1 teacher training you will get to know the basics of this exciting and very popular style of yoga which is a beautiful fusion of different movement arts like aerial acrobatics, Hatha yoga, flow yoga, acrobatics and Nuad (Thai massage) put together in a holistic and healthy concept. 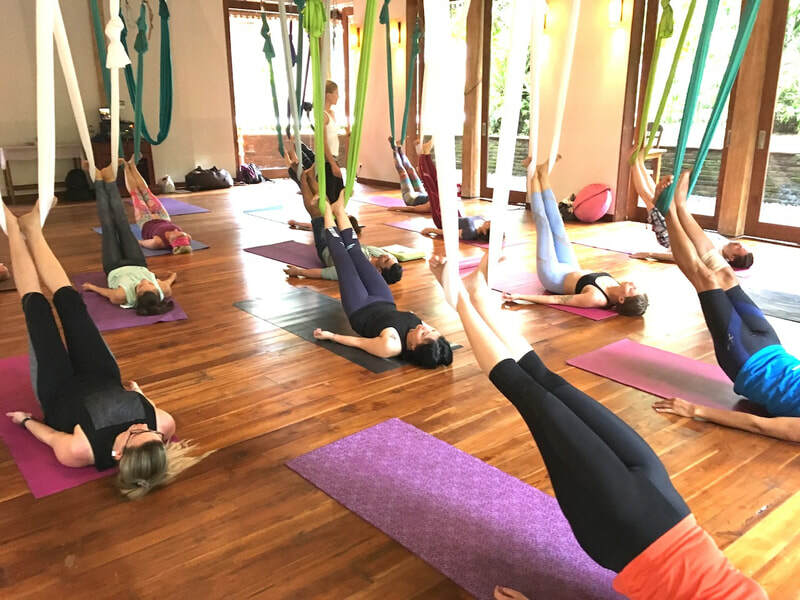 You will get to know a wide rage of different aerial yoga positions (asanas) which are supported through the yoga aerial fabric. 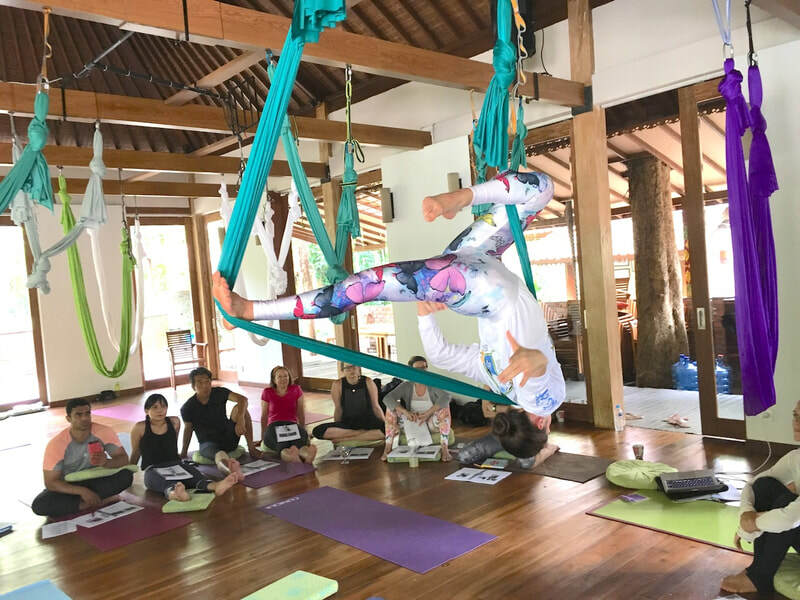 You will learn how to create a fluid aerial yoga class and how to safely teach aerial yoga to beginners, intermediate and advanced students. - You don't have to be a yoga teacher already. - There are no pre-requisites for this course as you will learn how to teach beginners. - If you are a beginner yourself this will help you to understand the teaching and learning process even better. 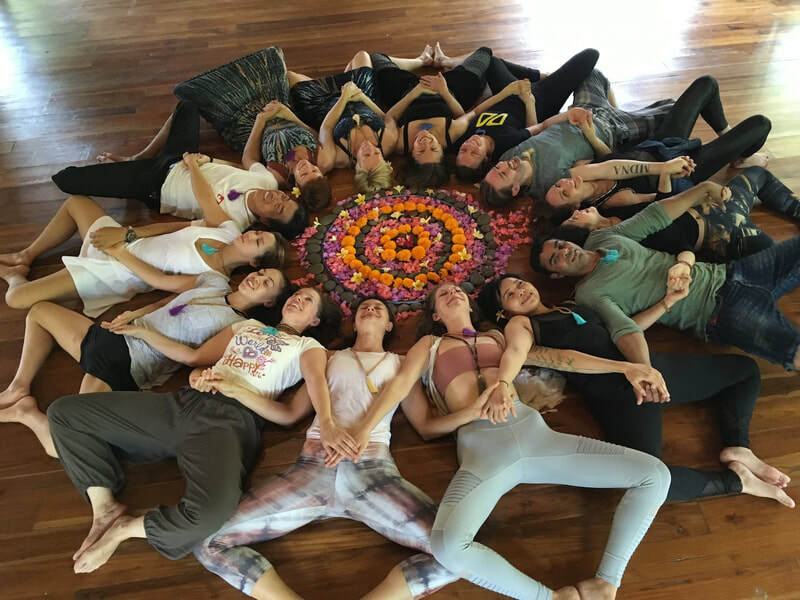 - Some students take this course just to deepen their own practise and spend a wonderful week with inspiring people on this beautiful island. - If you are already intermediate or advanced level we have additional exercises and challenges for you. 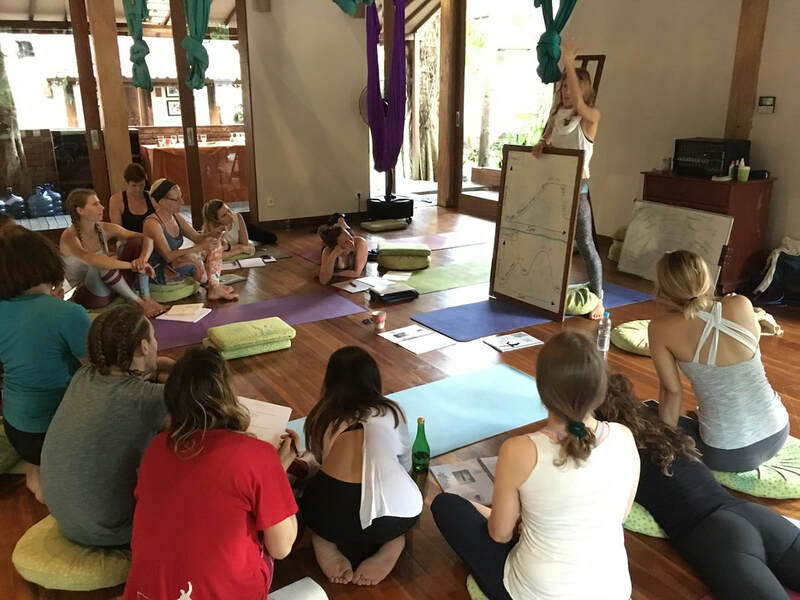 The Aerial yoga Level 2 teacher training has been created for advanced Aerial Yoga teachers who would like to go deeper on a technical, physical, theoretical, philosophical and holistic level. 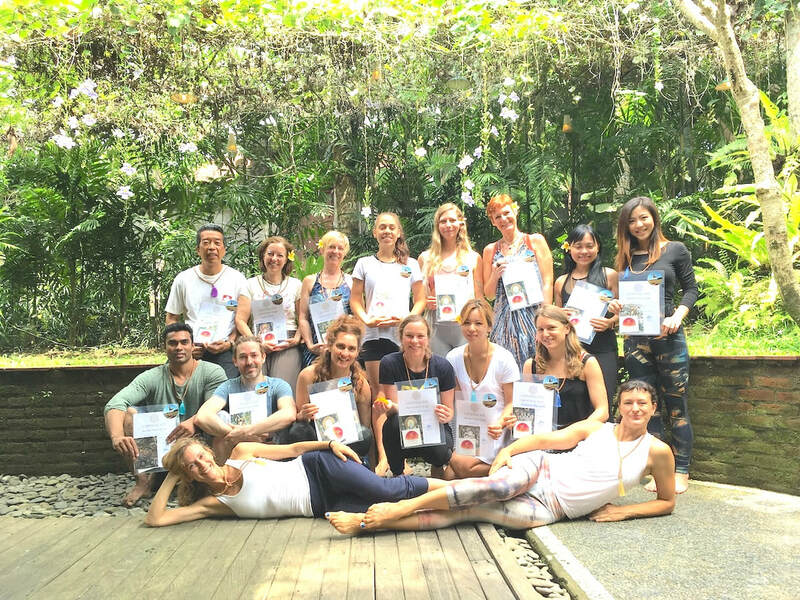 We are not only adding teaching content and creative flows but also advanced didactic methods and tools to make you a better teacher on all levels. - Alternatively 1 year of teaching practise -> online video submission teaching a 75 min class to students. 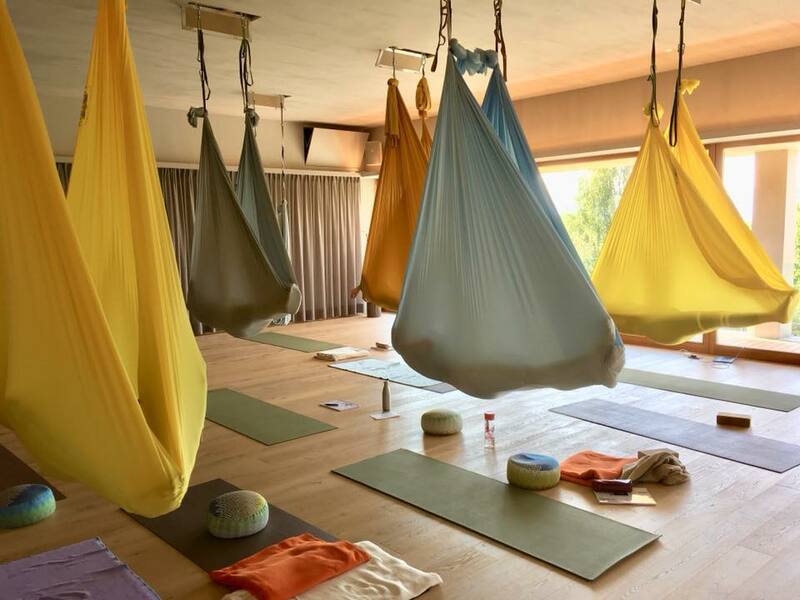 - For this course you already need to have teaching experience in Aerial Yoga.